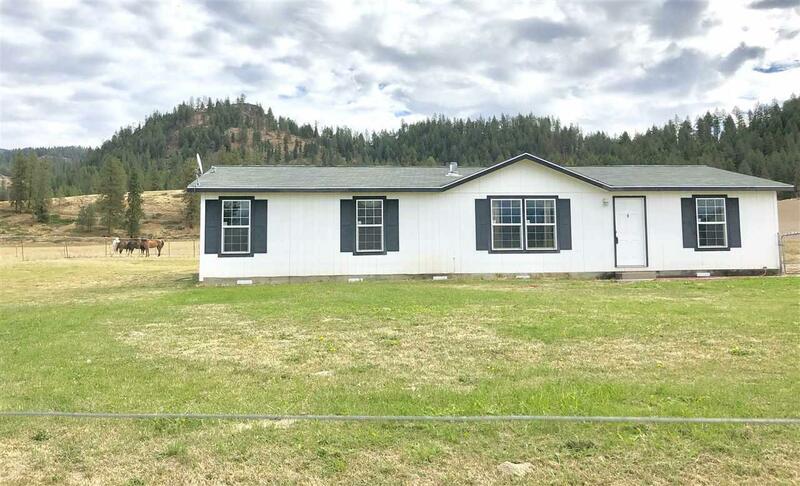 3 bdrm 2 bath doublewide sitting on 10 acres overlooking breath taking views of the Chewelah valley. This home has so much to offer with a large living room as well as a family room featuring a built in bar perfect for entertaining! New carpet and painting through out as well as a new drilled well. Sit out on the patio and take in the gorgeous views while watching the elk graze in the fields. This one is a must see!